We take your favorite bloggers event ONLINE! 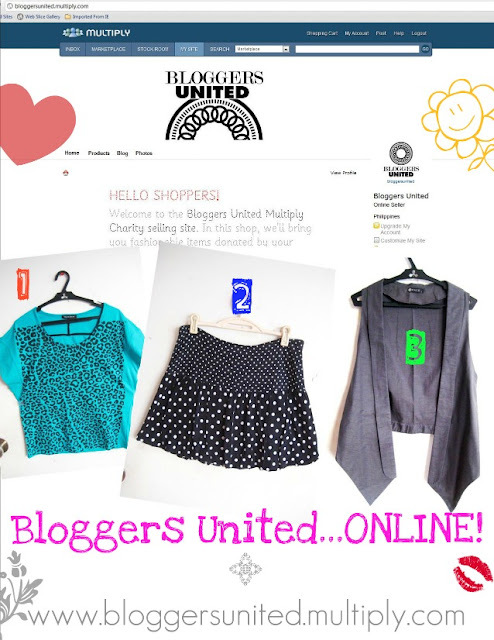 Bloggers United collaborates with the #1 online shopping portal in the Philippines: MULTIPLY! Shop for a cause, without leaving your house! We are also open for donations. Email me at anagon.gonzales@yahoo.com so I can send my mailing address. Rest assured that all proceeds will go to our chosen charity for our 3rd bazaar!